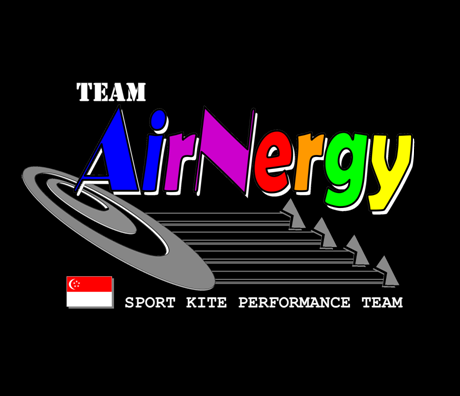 Team AirNergy comprises of 4 members from L-R: Chua Lin, Peter Teo, Zulkifli and Adenan. 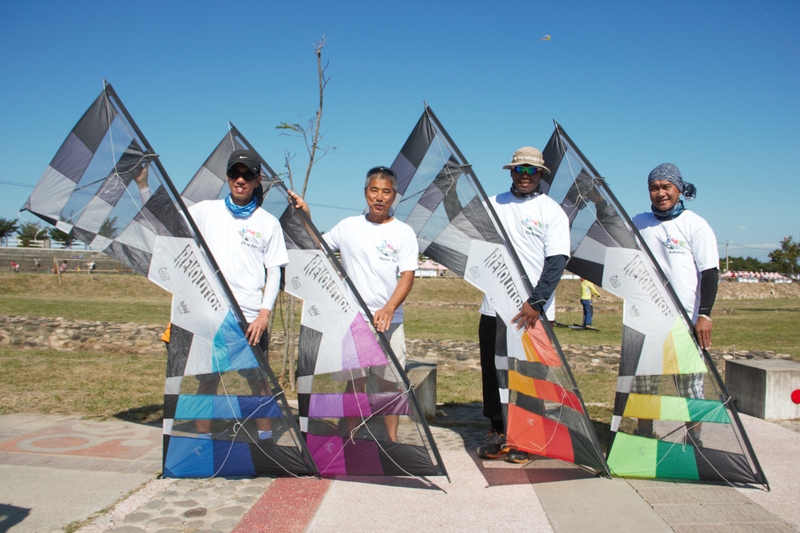 Here’s a little more about each of us…..
Chua Lin has been flying sport kites since 2004. He started with dual-line sport kites and started flying quad-line kites in 2007-2008 and has been hooked on that ever since. He is currently flying Position 1 in the team and is responsible for choreography of the team’s ballet routines and performs the team calls. Peter is the most senior member of the team and has been flying sport kites and single line kites for >20yrs. He is also a stack kites addict and flies his Hawaiian or Revolution stacks. Peter flies Position 2 in the team. Zul started first started flying sport kites 20yrs ago. He became active in flying again since 2006 with dual-line and quad-line sport kites. Zul also owns a good collection of single line kites and is the team’s resident Rokkaku challenger! In addition, he is also very capable in kite-making and has made numerous single-line kites as well as wind gardens. Zul is currently flying in Position 3 in the team. Adenan started dual and quad-line parafoil flying in 2008 and caught the Revolution bug in 2010 and has been flying quad-line since 2010. Always carrying his trademark smile on the flying field, Nan is the latest member to join the team in 2010 and brings up the rear of Team AirNergy as Position 4.